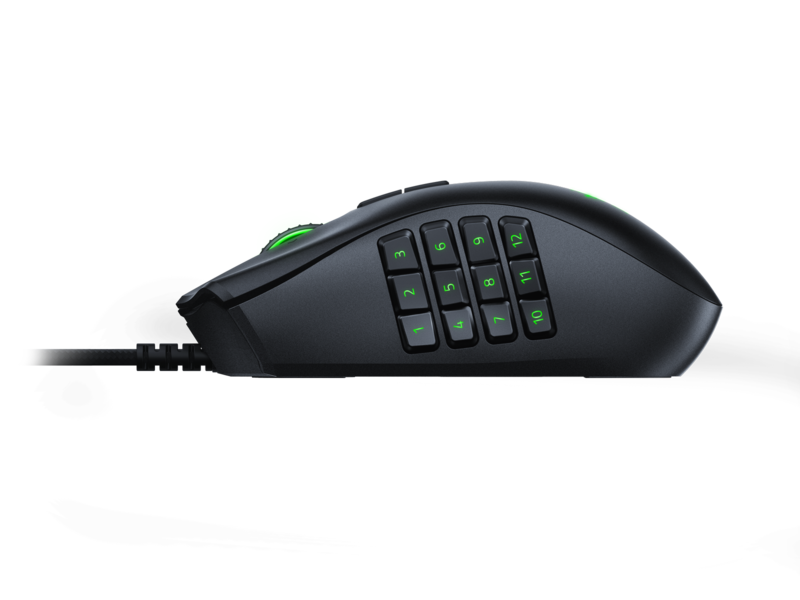 Razer's newest addition to the Naga line comes with not one, not two, but three different thumb plates. We put them through the ropes to find out just how holy this Trinity really is. Razer’s Naga Trinity is the latest in their line of Naga gaming mice. The Trinity offers up 16,000 DPI 5G optical sensor for precision gaming, but the mouse’s most interesting feature would have to be the three interchangeable right-thumb side pieces that offer up a healthy choice of options for MOBA, MMO, and FPS players. 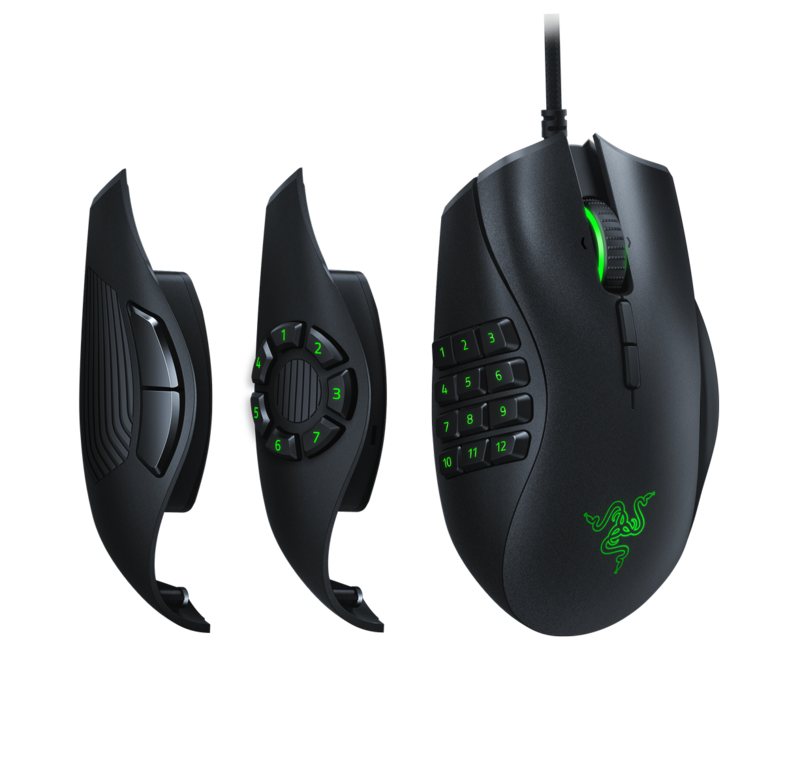 Each mouse comes with a 12-button numeric keypad-style layout, a 7-button circular layout with a thumb rest in the middle, and a more traditional 2-button plate for players to use. Each side plate locks on magnetically and swapping them out is extremely easy. Overall, I found the Naga Trinity to be an extremely versatile gaming mouse. Movement was fluid when playing FPS titles like Destiny 2 or Doom using the 2-button configuration or clicking around the screen in a MOBA like League of Legends using the 7-button set. But, while the 12-button combination might work well for other folks playing something like WoW or Guild Wars 2, I found myself doing a lot of accidental clicking when using it. In general, I found the Trinity to be durable and ergonomic in its design, but it was a bit wide for my hands, which is probably also the reason I kept hitting things on the 12-button configuration that I didn’t mean to hit. Fortunately, I found a workaround, and I just didn’t program anything for the buttons I kept unintentionally clicking. While it was a little annoying, that still left 17 out of the 19 buttons available for me to program in my own custom macros. While I’d be the first to admit that my experience with high-quality gaming mice is a bit limited, I still felt like the Razer Naga Trinity established a good benchmark for responsiveness and versatility. Including three plates is essentially like getting three different top-notch gaming mice for the price of one. While I had some issues with the mouse’s width and, at the time, its plethora of buttons, having the versatility to swap out plates for something more comfortable is a great idea. It’s also kind of an interesting decision to include plates for such a range of gameplay styles, I like that Razer recognized most gamers don’t just stick to one title or genre even at the higher-end peripheral level. My one major concern would be the plates themselves. Desks can get messy and things like alternate mouse plates are just the kind of thing that I could see go missing, at least in my disheveled life. Also, there was no real way for me to the test the long-term durability of the magnetic locks or the digital connections of each plate. Still, it’s hard to complain too much about a product that could’ve come with no physical customizations whatsoever. I’d recommend the Trinity for people who spend a lot of time playing a variety of games and not just an MMO or a MOBA. I think the only thing I would’ve appreciated them adding on would have been an option for changing the width and height, which could have helped the Trinity reach ultimate customization levels.